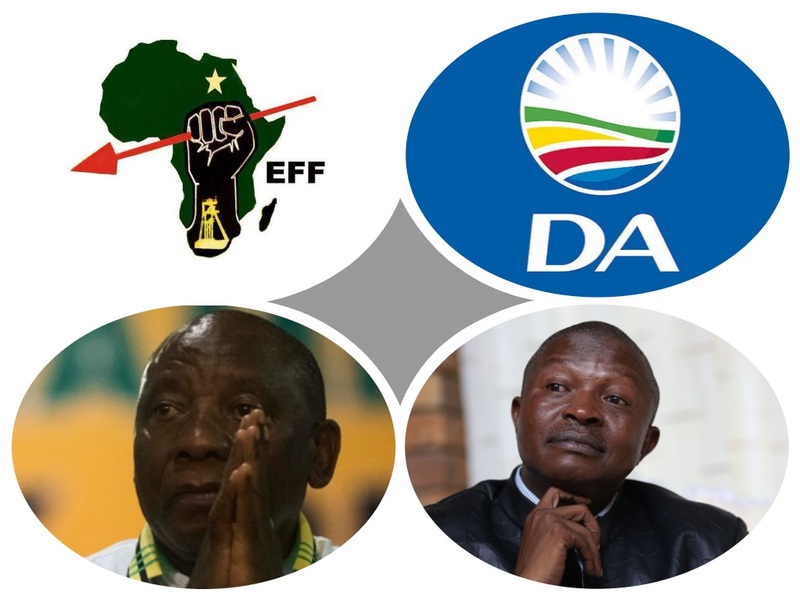 Many people not sure how Cyril Ramaphosa will work with David Mabuza but forget to ask how EFF is voting and supporting DA? "The DA is the better devil," he told reporters in Alexandra. "We couldn't be neutral, we had to take sides. This is history. We were caught between two devils. "Attention is expected to shift to the ANC's national executive committee (NEC) on Tuesday as the political party's 54th National Elective Conference enters its fourth day. This, as the different slates seek to fill the NEC with its preferred 80 members. On Monday, Cyril Ramaphosa beat former AU Commission chairperson Dr Nkosazana Dlamini Zuma to become the ANC's 14th president. Mpumalanga's David Mabuza was elected deputy president, the Free State's Ace Magashule took the secretary general spot and Gauteng chairperson Paul Mashatile was voted treasurer general. Jessie Duarte retained her position as deputy secretary general. David Dabede Mabuza - or DD for short - was born in 1960 in Brondal, Mathafeni, in what is now Mpumalanga. He studied at Khumbula High School, before working as a teacher. Mabuza obtained a teacher’s certificate in 1985 and four years later earned a bachelor’s degree from Unisa. In 1984, he became the Azanian Students’ Organisation secretary. He was also active in at least two teachers’ unions in the 1980s and 1990s. "The Cat" eventually clawed his way into provincial government and Luthuli House. From 1994 to 1998, Mabuza was an ANC regional chairperson. He became a member of the ANC's provincial leadership in Mpumalanga from 1998 to 2006. He was a Member of Parliament during some of that time. In 2007, Mabuza joined the ANC’s national executive committee and two years later his reign over Mpumalanga began. His political career has been dogged by allegations of corruption and political intimidation. In 2010, R14-million-went missing from his home. In 2015, he flew on the Guptas' private jet from Moscow to South Africa, after receiving treatment for poisoning. President Jacob Zuma’s son Duduzane reportedly arranged the trip. Mabuza’s friend-turned-foe Mathews Phosa accused him of running a personal militia in the run-up to the elective conference. Phosa claims ANC branches faced intimidation if they failed to support Mabuza’s unity strategy. Mabuza dismissed the claims as a fabrication. Now, the Mpumalanga premier has become the ANC's second-in-command and the kingmaker can now call himself the cat that got the cream.